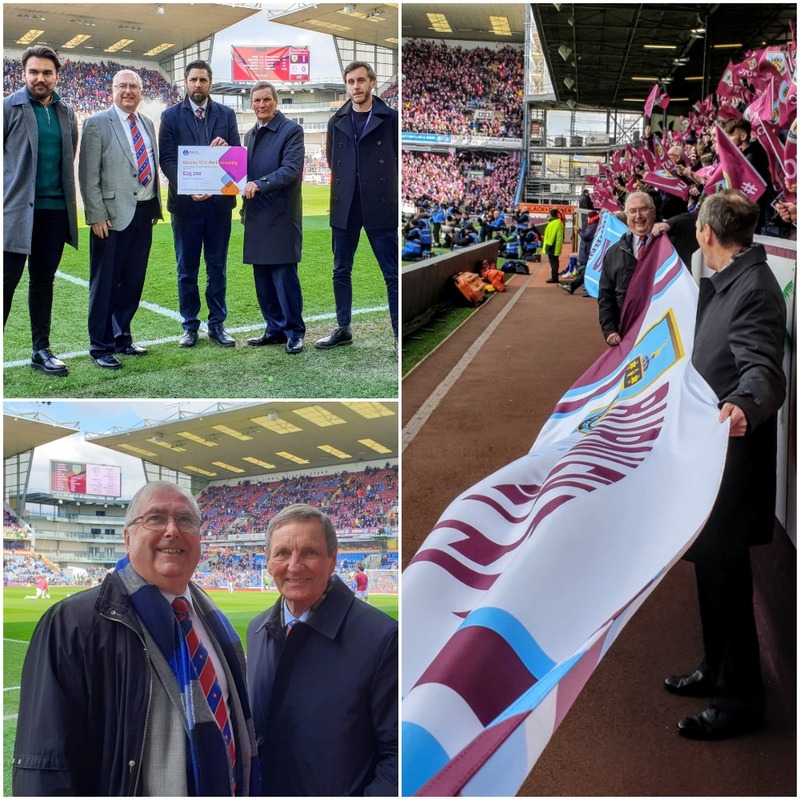 At the end of 2018, Burnley FC made a successful application to the MCF through East Lancashire Freemasons for a grant to help support their ‘Kicks’ programme. They were subsequently awarded £19,200 and at the April 13th home game against Cardiff City, a half time pitch side cheque presentation was made to Neil Hart CEO BFCitC and Tom Conway Social Inclusion Officer, by Deputy Provincial Grand Master WBro John Farrington and Provincial Charity Steward WBro Steve Clark. Kicks is one of Burnley FC’s flagship community programmes, part of the BFCitC (Burnley FC in the Community) and is designed to engage young people 11-19 who are at risk of being involved in anti-social behaviour and crime. It organises activities in a number of venues and these are predominantly football based. The grant will enable Burnley FC to introduce new sports such as cricket, dance and boxercise which it is hoped will also engage more girls. We look forward to seeing the result of the grant, and how it will impact the lives of young people in the Burnley and Pendle area.